Acrylic - The One Stop Plastics Shop Ltd. Which type of Acrylic sheet is right for your fabrication job? Extruded Acrylic Sheet is produced by a continuous extrusion process and sheet is available up to 7.5 metres in length. As with cast material, it has an exceptionally high quality surface finish and a light transmission superior to glass. It also has unequalled resistance to weathering and ageing. With a slightly lower molecular weight, it is easy to fabricate, machine, heat bend and can be vacuum formed. It can be easily bonded with solvent cements but cannot be polished as easily as cast; flame polishing is not recommended. With good resistance to alkalis and a limited resistance to organic solvents, it is mechanically stable up to about 70°C. In spite of PMMA's extraordinary weathering properties, its usefulness as a structural material is limited, in the UK, by its poor fire performance (Class 4 to BS476 Pt 7). A range of transparent and translucent coloured sheets, Impact Modified grades and Anti Reflective sheets are normally in stock. Extruded Extruded Acrylic Sheet is available in clear transparent, opals and almost uniquely, a full range of Sign Colours. Allowing for its fire performance, extruded sheet can be used as universally as Cast. The ease with which it can be shaped makes it particularly suitable for many Point of Purchase applications. Illuminated signs and display. AR grade for non reflective picture framing. RESIST grades for high impact strength. Mirrored sheets for POP display. 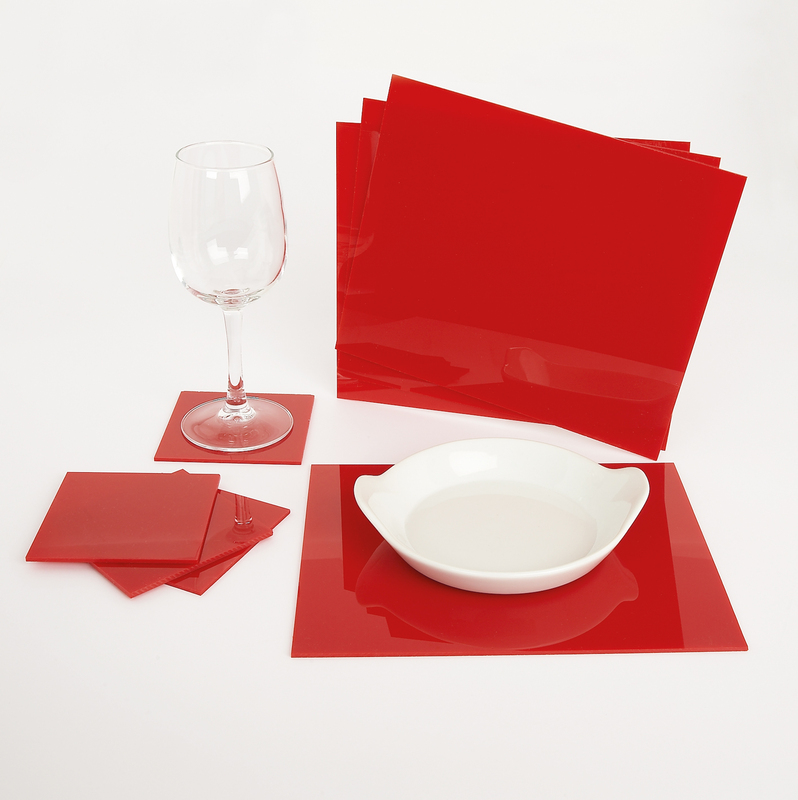 Acrylic sheet is one of the oldest thermoplastic materials	(circa	1933). Produced by cell casting between glass plates, it has exceptionally high quality surfaces, which are flat and, in transparent grades, having a light transmission superior to glass. It also has an unequalled resistance to weathering and ageing. It is very easy to cut, machine, heat bend and shape. It can be easily bonded with reaction adhesives and polished back to mirror finishes. It possesses reasonable strength weight ratios and is mechanically stable up to about 80°C. With good resistance to alkalis and limited resistance to organic solvents and readily available in Clear Transparent, a wide range of Opals and over	70	standard Colours. Acrylic sheet is a natural choice for almost all sign and display applications. Applications	Unique Optical & Weathering Properties The principal self coloured sheet for all sign work, be it with reflected or transmitted light, easy to cut, machine, bond, polish and shape, Cast acrylic also lends itself to all kinds of guarding and screening applications.